The camellia sinensis (tea) plant requires some specific care and conditions. As long it is the same plant and the soil condition is good, the nutrition value will not differ too greatly. Depending, however, on the flavor profiles you are going for, the environment and care will affect this. For a tea plant/seed to really root itself into the soil, it takes about 3-5 years. If you rush it, tea can grow in the first couple years as well. However, this will not give the plant a chance to get a firm foundation. This is what happened to a lot of tea fields in Korea a few years ago when the long, harsh winter hit – a lot of the plants were uprooted from the snow and strong winds. Those farmers that took the time to plant the seeds and wait patiently for the leaves to grow at its proper pace truly reaped what they sowed. Tea plants generally grow in regions which have a definite winter (cold) and summer (hot). The most desirable condition would be a region that has a definite “four seasons”. If you desire leaves that produce a more rich, full flavor, the ground on which it grows needs to get cold enough (without freezing) and then, gradually in time, needs to warm up. 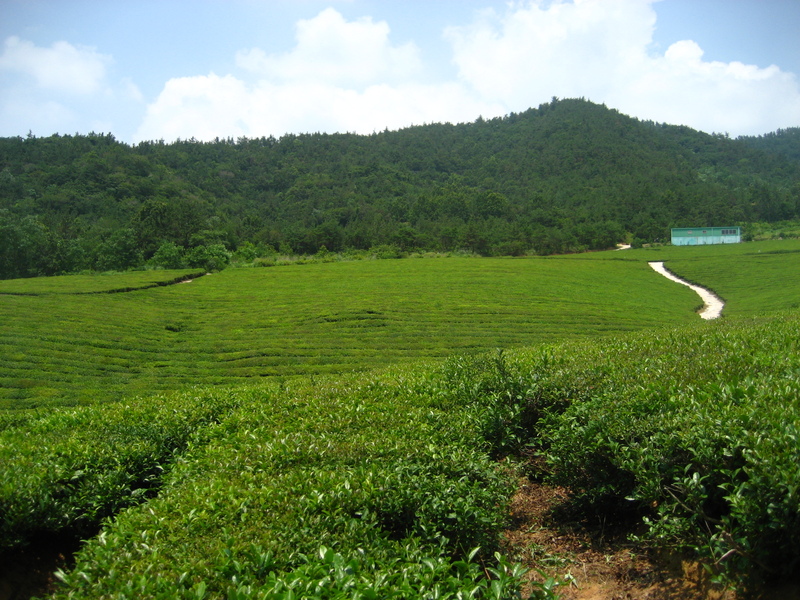 In Korea, most of its tea is produced mainly in the southern regions for this particular reason. The northern regions get too cold in the winter (below freezing) and the plants/roots cannot survive. Regions that don’t get cold enough or get too warm (like the Jeju Islands) may produce teas that taste a bit lighter or less rich in flavor. If you prefer lighter flavor tones, seek after teas from such warmer regions. The region in which the fields are located also play a vital role in the final taste. The most ideal location would be either near oceans or near mountains. The reason for this is that, like most other agricultural products, the right balance of exposure to sunlight and shade is important. Too much sun will cause the leaves to either grow too quickly or dry and wither. Not enough sun will cause the leaves to not grow at its proper pace and cause lack of some of its nutritional components. Having the tea field near an ocean allows the morning dew and fog to create a natural “barricade” for the leaves from the sun’s harsh rays. As the day progresses, this “mist” collects, allowing for the leaves to get the proper amount of exposure of sunlight. Having the tea field near a mountain, or tall hill, will allow the mountain/hill to create a natural shade for a portion of each day. If these natural conditions cannot be met, some will also use mesh nets to create human-made shading for the leaves. Carefully attention is necessary to make sure that the leaves receive the right balance of sun and shade to produce desired flavor profiles and nutritional values. All in all, the right combination of environment, condition and farming techniques are needed to produce the desired flavor and aroma. No matter how well you might process the leaves, if the basic foundation is not there, it would be difficult to get the results you want. As with many things in life, “timing” is very important when it comes to farming. There is a time and season for everything – finding the most ideal location, preparing the soil, planting the seed, providing the proper care and environment, and harvesting. Depending on what you plan on growing, there will be more or less time and effort required on certain steps. The amount of “proper” care will determine the final outcome of the finished product. Lunar Calendar vs. Western Calendar? Many Asian countries follow the Lunar calendar for many things – farming is one of those things. The Lunar calendar calculates the distance of the sun from earth to calculate the coming of seasons, and because the seasons don’t always fall on the specific dates (as with the Western calendar), it makes more sense to follow the Lunar calendar. 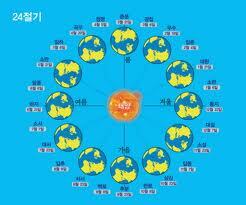 According to the Lunar calendar, there are 24 seasonal division (2 seasonal divisions in each month). Visit Wikipedia for more information about this. 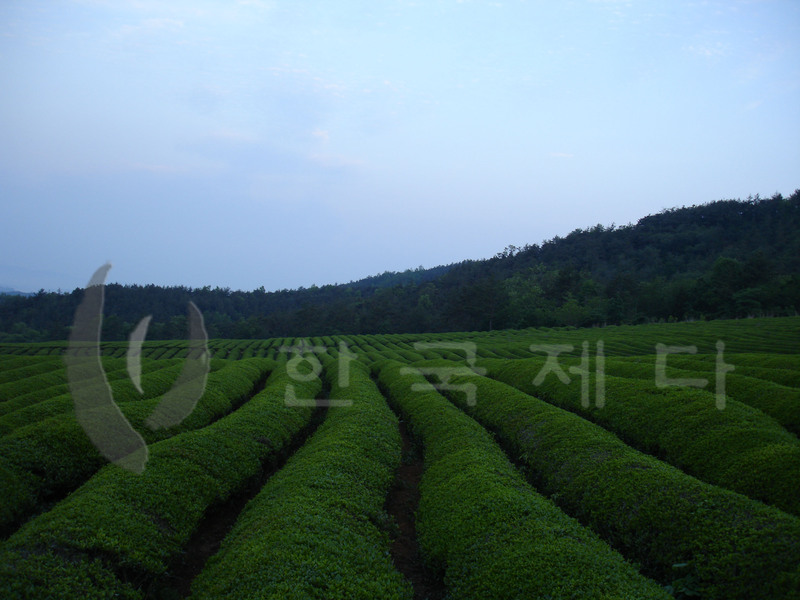 Tea picking season starts with Gokwoo (곡우). 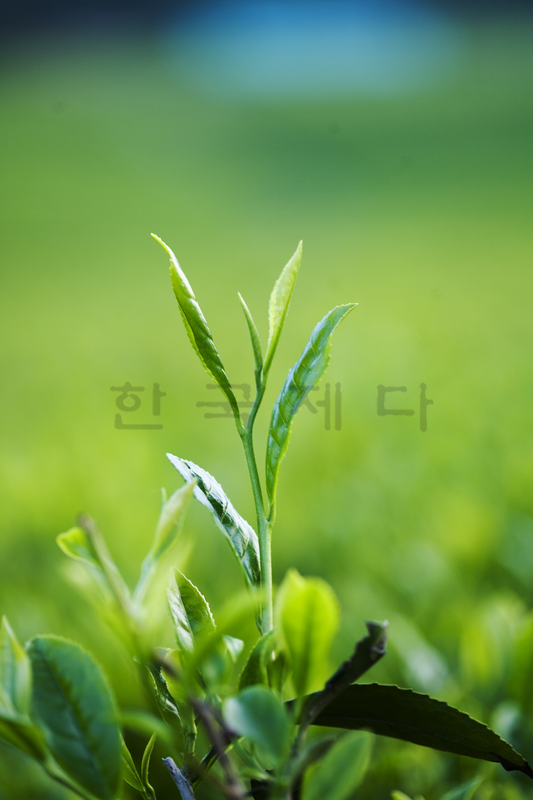 As mentioned in my previous post about tea grades in Korea, the Ujeon or Woojeon grade (the first shooting buds – a very special grade) is picked just before Gokwoo (u or woo = rain;, jeon =before). Somahn (소만), Mang-jong (만종) and Haji (하지) follow. Following Haji is Sohsuh (소서), Daesuh (대서) and Ipchu (입추). These are the seasonal divisions leading into fall/autumn (Ipchu meaning “enter fall/autumn”). Depending on the company/farmer, tea leaves will be harvested all the way into the beginning of fall. Again, depending on the company or farmer, the way someone grades tea in Korea will slightly differ. Some will grade solely on size, others solely on the time harvested – most use a combination of the two (especially with the currently fickle weather). Knowing both the size reference and harvest time will help determine what kind of grade of tea you are getting in Korea. Also, knowing the general processing method of green tea will also help in choosing the “right tea” for you. Camellia Sinensis = the species of plant whose leaves and buds are used to produce “tea”; a genus of flowering plants in the family Theaceae. As discussed in Tea vs Tisane (Herbal), in order to technically be called “tea”, it needs to come from the camellia sinensis plant. Because it comes from the same plant type, the nutritional value will be very similar. The amount of certain components will be greater or less depending mainly on the method of processing. As well, the appearance of the leaves, color of liquor and taste profile (and price) will differ depending on where and how the leaves are grown and how they are picked, processed and stored. The tea leaf is green year-round and has jagged edges all around, resembling the teeth of a saw. During the fall, the plant produces a flower that has a yellow stamen and white petals. Around 5 days after the flower blooms, it withers and in its place, a seed grows. The small leaf type, or China’s sinensis forma bohea, can be commonly found in countries like China,Japan andKorea, located in the Temperate [Variable] Zone. The small leaf type is ideal for making green tea. This is because the polyphenol content is low, resulting in low activity of oxidation and a more profound taste. Of the large leaf type, the assamic found in and near India, and the Chinese large leaf type (sinensis forma macrophylla – found in the district of Yunnan,China) are two most representative. The large leaf type has a high content of polyphenol, resulting in high activity of oxidation and making this type ideal for making black tea. There are ways to stop oxidation by “getting rid” of the component (a.k.a. oxidase enzyme on the dermal layer of the tea leaf) that causes it – some refer to this as “kill green”. 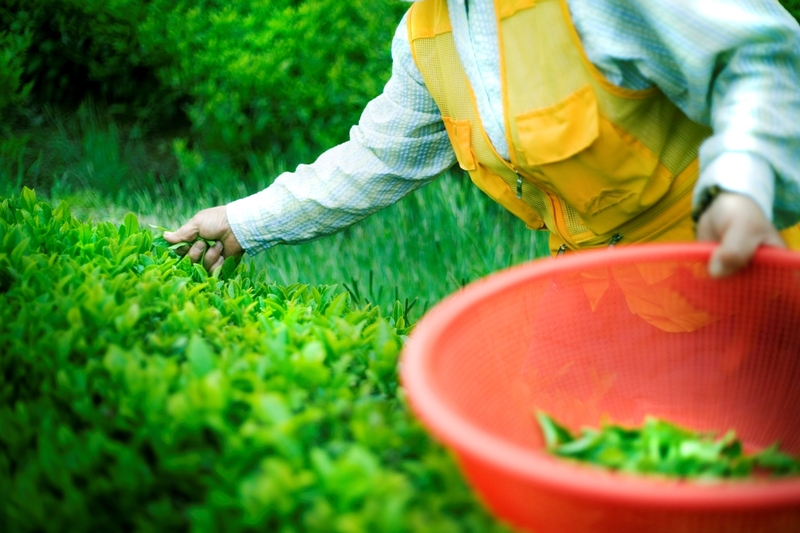 In tea, this process is done through applying heat to the leaves. This can be done in a variety of ways – natural sunlight, steaming, pan-firing, roasting, etc. 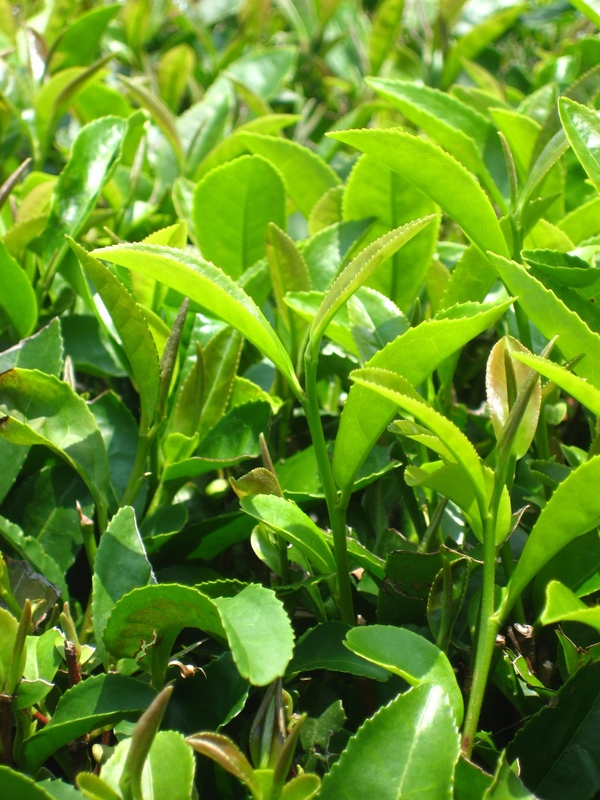 A specific variation of camellia sinensis is used exclusively to produce white tea. This variation only grows in specific environments, currently found mostly in China (there is news of white tea being grown in Mount Baekdu of North Korea). The name is derived from the physical appearance of the leaves – fine silver/white hairs along the leaves, giving the leaf almost a “fuzzy” look. The harvested leaves are left out in natural sunlight to wither/wilt. Other than this process to stop oxidation, no further processing (steaming or pan-firing) is done to the leaves. One of the most widely known and drunk variation of the camellia sinensis, every region, company, person might have their own “method of madness”. Depending on the exact process used, the appearance, color, taste, fragrance and texture will be different. NOT ALL TEA IS EQUAL. To make green tea, oxidation in harvested leaves is stopped by either steaming or pan-firing or the combination of the two, and then processed (cool, roll, loosen, dry). Varying the “heating” time and repeating certain steps (cool, roll, loosen, dry) will change the flavor profile as well as appearance of the leaves and liquor. Pan-firing will result in a more roasted, smoky, full flavor while steaming will result in a more light, vegetal, crisp flavor. Again, appearance and taste profiles will differ depending on origin of leaves and exact processing method. This is the category that probably contains largest number of varieties of teas. Partially oxidized tea is tea that has been allowed to oxidize a certain amount before stopping oxidation. Depending on the amount of oxidation and the exact process used, the taste, fragrance and color will all be different. The oxidation is somewhere between green tea (no oxidation) and black tea (full oxidation). If discussed in percentage, the oxidation amount is usually between 15-90%. Oolong and Hwang Cha are two examples of partially oxidized teas. Both follow very specific steps in processing. Hwang Cha is a tea traditionally made in Korea since the days of Kings. Today, depending on the company or tea maker, the oxidation will be anywhere between 50-80%. The term “oolong” is actually indicative of a specific type of tea, processed a specific way. The term had been linked with teas that were similar in taste (partially/semi-oxidized) and even those teas that weren’t processed in that specific manner got stuck with the title “oolong”. There are many, many, many (perhaps hundreds) variations of oolongs, all tasting different depending on the degree of oxidation. Those oxidized for a shorter amount of time will taste closer to a green tea and those oxidized for a longer time will taste closer to a black tea. Oolongs are usually not oxidized less than 15% because there would be almost no difference from green teas. Although green teas are not oxidized on purpose, the leaves can and will become slightly oxidized usually during the heating process before the oxidase enzymes are “killed off” (aka “kill green”). Similar steps used to process green tea is used to make partially oxidized tea. But instead of killing off the oxidase enzymes (a.k.a. “kill green”), the leaves are allowed to oxidize. The entire process typically takes 2-3 days. In Chinese, semi-oxidized teas as a collective are called 青茶 (chung cha; literal translation: “blue-green tea” or “celadon tea”). In Korean, oxidized teas as a collective are called 발효차 (bahl-hyo-cha; literal transalation: “oxidized tea”). Add the term 부분 (boo-boon; literal translation: partial) in front to create the term “partially oxidized tea” (부분 발효차boo-boon bahl-hyo-cha). Black tea is when the tea leaves are completely oxidized. The term “black tea” comes from the English. In Asian countries, this tea is known as 홍차, or hong cha (red tea – not the same as rooibos, which is actually not “tea” because it is not made of tea leaves). After the tea leaves are picked, they are withered and dried to reduce moisture levels. There are two ways to process black tea – orthodox or CTC (crush, tear, curl or cut, twist, curl). These methods will be discuessed in a separate post. Black tea is usually graded according to The “Orange Pekoe” system is used to determine the grade of orthodox processed black tea, and another grading system is used for CTC teas (which is used primarily for tea used to make teabags). The grading is done according to the size of the leaves – whole leaf, broken, fannings and dust. These grades can be broken down even further. Pu’er(普洱 – 보이 boi in Korean) is the name of a city in Yunnan Province, China. Originating from this region, the pu’erh is a fermented tea. Just like the definition of “fermented”, good bacteria is allowed to form through controlling the level of moisture and temperature of the tea leaves. The live bacteria change the chemistry of the tea leaves, creating a unique taste and aroma. Depending on the region of China, processing method and condition of the tea leaves, pu-erh tea is categorized as post-fermented dark or black tea (흑차 heuk cha 黑茶 – not to be confused with the English black tea, which is known ), compressed pu-erh, loose pu-erh. 생차 saeng-cha – made of raw tea leaves that are crushed and compressed together to form a tight lump (variety of shapes). 숙차 sook-cha – slightly processed before being made into pu’erh, the tea leaves are fermented as loose or compressed form. Depending on who you talk to, the yellow tea can be similar to either a white tea or a green tea. Some say that yellow tea is similar to a white tea in that both are not oxidized. The white tea is wilted while yellow is unwilted, but allowed to yellow. Those that say yellow tea is similar to a green tea say that the process of making the tea is similar. But instead of drying, the moist tea leaves are stacked and allowed to yellow. It is hard to say which method is “correct”. TEA (Korean: 차 cha) – is a product of a specific type of plant, increasingly becoming more well known by its “real” name…camellia sinensis. No matter what, if it doesn’t come from this plant/tree, it’s technically not “tea”. Until the more recent boom in the interest in tea, the term “tea” was used more loosely to describe hot beverages made from infusions of plants, leafs and/or flowers. (It’s the same in Korea – when steeping a leaf, flower or plant in hot water, the resulting product is usually called —cha).Nowadays, there is more of an effort for differentiating between tea and tisane (or more commonly, “herbal tea”). Two leaves and a bud – a phrase commonly used to describe the tip of the tea tree/plant. The stem branches out from the tea bush and on each stem is a series of leaves. At there very tip, there is a bud in the center and two small leaves on either side. This portion is hand-picked to create some of the world’s highest quality artisan teas. Depending on the plant, this will grow back several times for multiple hand-pickings. The larger leaves below this section are harvested later on (usually by machine) to produce other types of teas. Depending on where and when the leaves are picked and how they are processed, the name, flavor and appearance will all differ. There are thousands of variations but most teas will fall under one of these major categories (more details to follow in a future post): white, green, oolong, oxidzed, black and pu’erh (or pu’er). TISANE…a.k.a. herbal tea (Korean: 기능성 음료 gi-neung-sung eum-ryo – directly translated to mean “functional drink/beverage”) – Tisane is the French term for aromatic or herb-flavored tea. An herb is “a flowering plant whose stem above ground does not become woody; such a plant when valued for its medicinal properties, flavor, scent, or the like.” Depending on the type of herb, the flavor, appearance and health benefits will all differ. There are probably as many (if not more) types of tisanes out there as there are variations of teas.